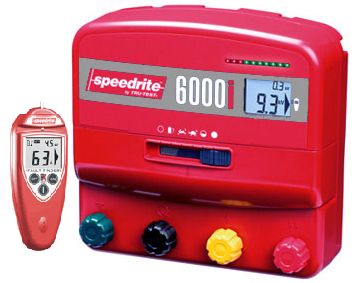 Speedrite 6000i Energizer [SPE6000I] : Highland Livestock Supply, Ltd, Products for all of your show animals! The Speedrite 6000i Unigizer gives 6 output joules in a mains or battery configuration and is designed for farms with up to 60 miles of fence wire. It can conveniently be used as a 110 volt powered unit or as a battery energizer with optional solar compatibility. More flexibility, less fuss.